It was considerably cooler and less humid at the start of the Cruel Jewel on May 13th than during the previous year. My good friend and host, Mike C was with me but unlike last year, he was smarter and decided to run the course in one direction as part of the “half” or 56 miles. One friend in particular who was on my mind at the start was Derek. He is battling lymphoma and I have been thinking and praying for him often. Derek, a young father of 3 little kids, is someone who has run with me, has been in bible studies together with me, and has “fixed” me many times as my sports chiropractor. I wore lime green to show my support for him and all those battling Lymphoma. I was making new friends and finally meeting many virtual friends who I have come to know as a result of Facebook and Strava. Ryan, Shenoa, Ed and others wished each other well as we have been doing on-line in the months and weeks leading up to the race. Overall I was relaxed, confident, and excited as we lined up to tackle the ugly beast hidden within the beautiful Chattahoochee National Forest. Last year I started my race a little more quickly with Mike. Running with him provided comfort, given his knowledge of the course, but I questioned if I was going to quickly for my own good. This year, I fell behind Ryan and his friend Jason from Boulder, CO early on. Ryan lives about 30 minutes from me and had reached out via Facebook leading up to the race. It wasn’t until I had looked up my Bib or race # that I saw his impressive resume that included his success at 2 of the remaining races on my bucket list, UTMB and Hardrock. I tried to gain some knowledge from Ryan as we went along at a more reasonable pace than the previous year. While people were passing us, I felt comfortable hanging with these 2 guys and enjoyed the early sections where things felt easy. Eventually, we started some more substantial climbs and I pulled out my hiking poles after about an hour. I had only used the poles in one previous race last summer in Colorado at the “Never Summer 100K”. I had bought the poles the day before the race and didn’t even know how to use them properly. They were still a big help despite my lack of experience at that race but I made sure that I got plenty of practice before this one. As I climbed many steep sections on the Dragons Spine and other sections of the course, I reflected on how much easier it was this year compared to last without these “crutches”. By mile 20 the three of us were separated and I began running long sections by myself. I enjoyed the time alone and used it to stay focused by prayer. I felt like I was dialed in with my pace and nutrition, and on my way to having a great race. I don’t mind running in the dark but given my mistake and extra mileage last year, I did have some anxiety as the sun set. As I approached the section where I made a wrong turn last year, I saw numerous flags and course markings to ensure that I, or others, didn’t do the same thing again. It was encouraging and exciting as I felt good and was possibly on my way to a sub-30 hour finish. After finishing my first loop, I felt strong as I entered the small section of road that brings us to the turnaround point at Camp Morganton. 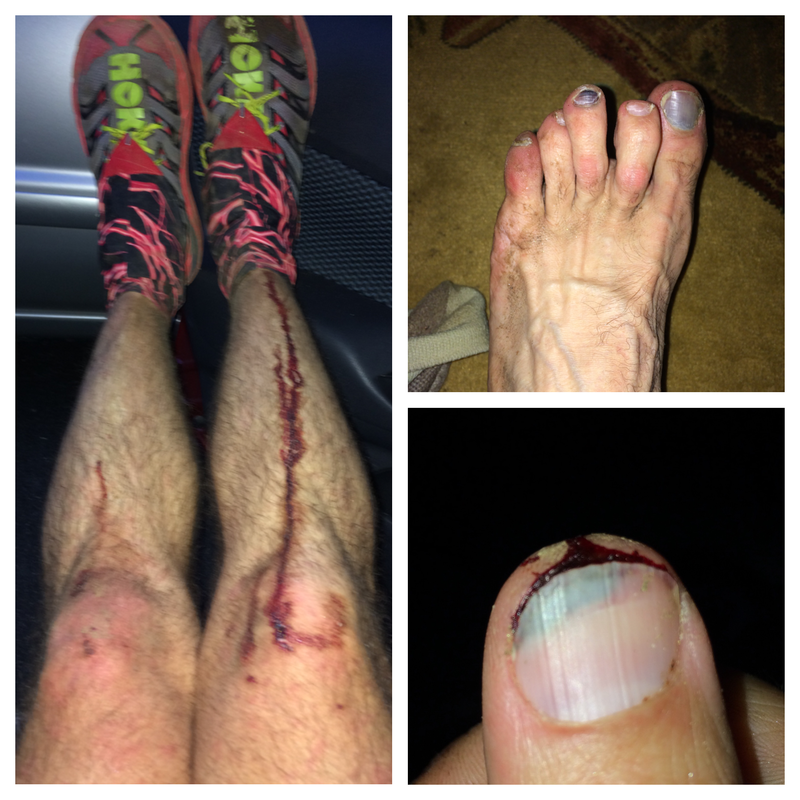 There is about a mile downhill that I flew down rather fast for a race that is this severe. My Garmin suggested that I was running well below a sub-10min mile for this small section and was excited at the thought of heading back to the start. However, like a runner who ran too fast during a track repeat and gets nauseous, I experienced this same feeling “100” fold. The fast road section felt good coming down but brought me to my knees once I reached my destination. I was on my way to have a great race before my stomach went south. While my quick pace probably played the biggest role as to why I hit my first major bonk, the gel’s I had been using regularly began to be more of a challenge to digest in the miles leading up to this point. I was tired of the gels, of PB&J, and of the limited selection at many of the aid stations up until this point. I probably spent over an hour at the next couple of aid stations combined. This frustrating loss of time was not new to me but I continued to put one foot in front of the other. It was during these tough times that I would have loved to have had a crew or pacer but my experience helped me to manage through tough patch. Similar to last year, Weaver Creek Rd Aid Station (AS)#13 is where I regrouped and began a long, arduous climb to Stanly Gap (AS #14). It is less than 2000 feet of vertical but seems to take forever. Here again I was grateful for my poles. The longest stretch of road is between AS#6 (mile 31) and AS#7 (mile 37) on the outbound and AS#14 (mile 69) and AS#15 (mile 75) inbound. I was able to run the entire section in both directions with my hands free as I had made sure to stick my poles in my bag before these portions. The three cups of ramen soup I inhaled at AS#14 also played a big role in a successful start to my trip back towards the finish line at Vogel State Park. I was feeling strong on the road with the sun up and my hands free. I began to pass more and more people during this section and those that followed. One of the key indicators for me that I had turned things around is that I don’t recall anyone passing me on the course during these remaining 38+miles. The Old Dial Road AS (#6 & #15) is where I first had tried bacon during an ultra the previous year with great success. I was excited to see the pile of this delicious “super food” waiting for me and inhaled several pieces. The volunteers here, and throughout the entire race, were excellent in their support and encouragement. At Wilscot Gap AS (#5 & #16) I had my drop bag and sat for a few minutes to ensure I got plenty of nutrition via soup, a Starbucks Double Shot with Protein, dry clothes, and a renewed focus to finish strong. I knew sub-30 was unlikely but didn’t give up on this hope until sometime after this point. This is also where I met a new friend, John, who had read my 2015 race report as a result of J.P., a common friend who we both followed on Strava. John recognized my name from my drop bag and we struck up a conversation. 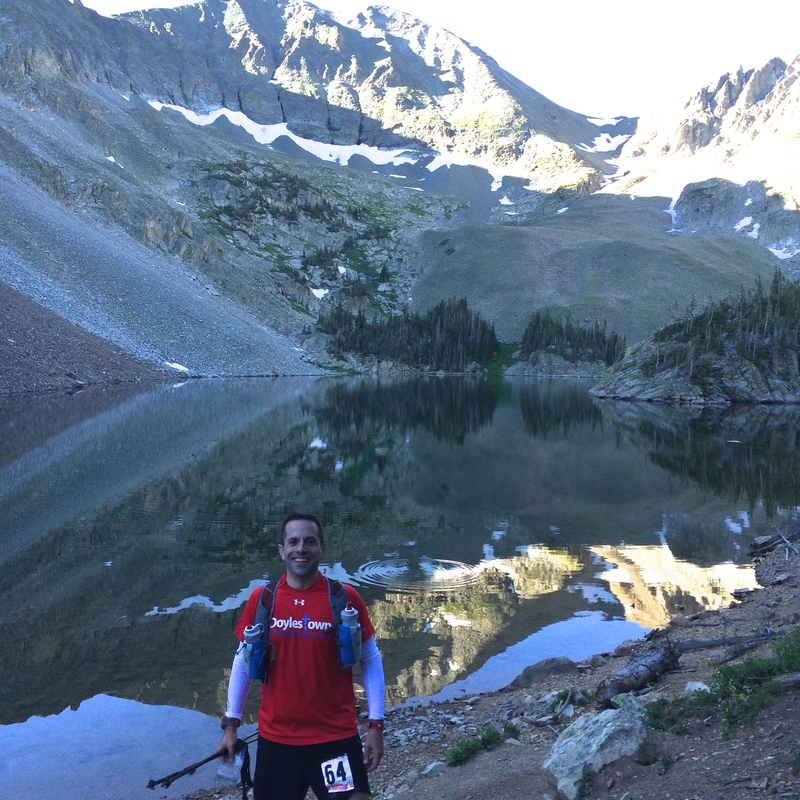 Like Ryan, John was an experienced mountain runner who lives in CO. We essentially remained together for many of the remaining 28 miles sharing stories and supporting one another at different points. Fortunately the ultra-community continues to have many great individuals who make this sport so special and unique and John was another great ambassador for our sport. I definitely missed chasing and catching up with my buddy Bobby Goat as I had done the previous year. 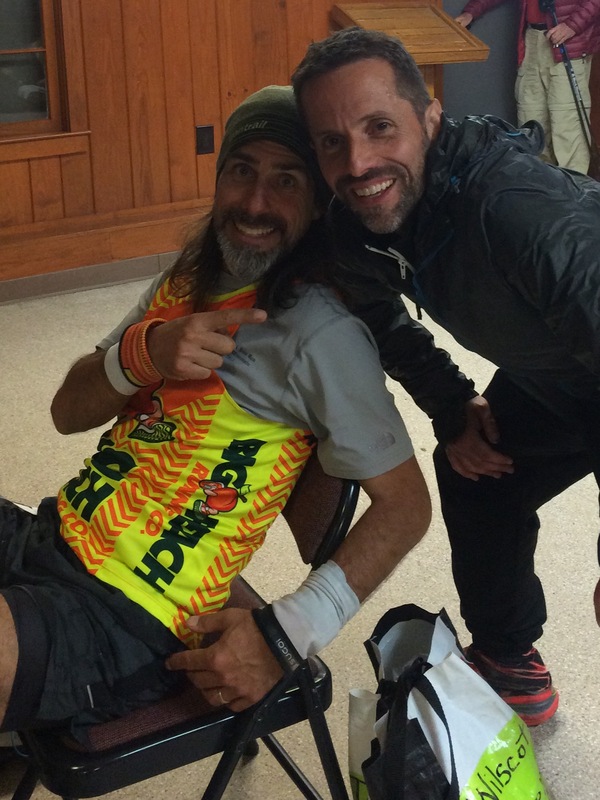 In 2015, we met up shortly after Fish Gap (AS#18) and finished the race together. I thought about this as I entered the clearing for this aid station and took a few minutes to fuel up. I regrouped with John here for a little while and experimented with another new food, a ham and cheese quesadilla. Based on the remainder of the race, this was another good decision. As I descended towards the last aid station, White Oak Stomp (AS# 19 at mile 98) I heard a couple of motorcycles down on a nearby road and looked up. The next thing I knew was I alternating seeing the sky and the ground as I tumbled down the side of a steep mountain. I lay still for a moment trying to evaluate how much trouble I was in. Ironically my first concern was whether I snapped one of my poles which I was lying on top of. Nothing hurt as I slowly got up and was glad when I realized that nothing was broken. I was excited and quickly began moving again nicely along with a stream of blood that ran from my knee. I had multiple goals that started with plan A: a sub-30 hour race, followed by plan B: finishing before a second sunset (and therefore beating my previous time). The last 7+ miles are not exactly easy with a steep climb followed by a steep descent. I was surprised again this year at how easy this section felt going out but how brutal it was on the return. With less than three miles to go, I became nervous that plan B was slipping away. 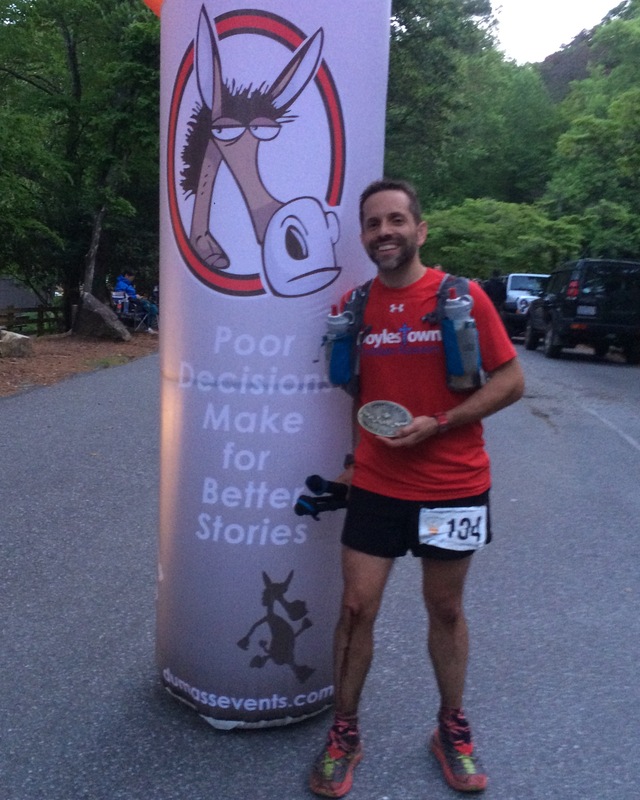 I dug deep and despite being on trails and having run over 100 miles, I was crushing it and passed many runners. I crossed the finish line at 8:30pm after 32 ½ hours. Many were quick to point out this was over 2 hours quicker than last year. Unfortunately, I knew that I would not be so kind to myself. Although quicker overall, the following stats weren’t as impressive as I would have hoped. 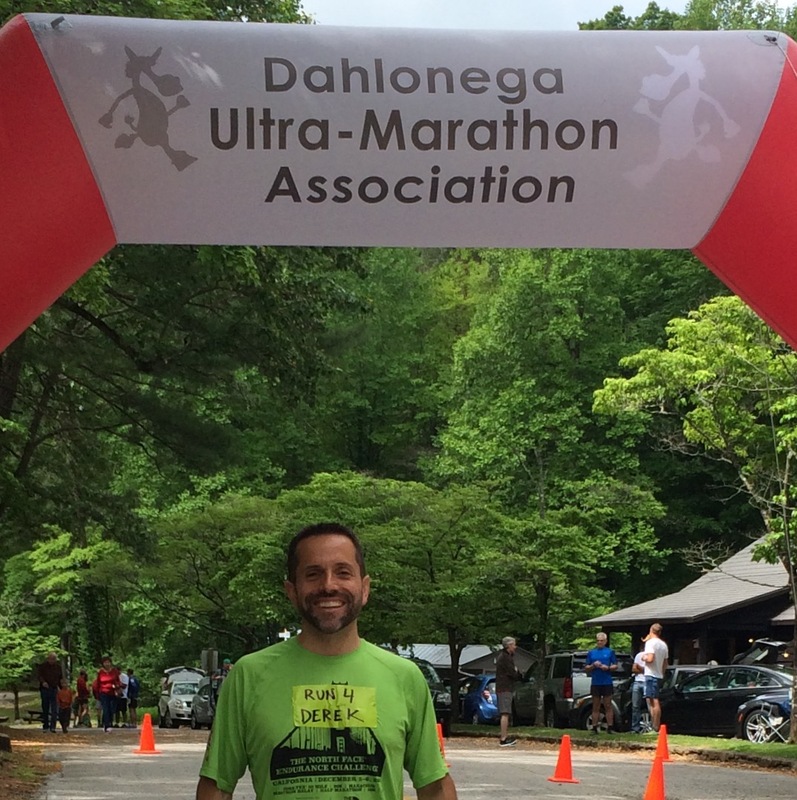 As I thought about my experience in this race and others, I realized there is a pattern to my ultra’s that I hope to learn from moving forward. The pattern of “thirds” suggests that I start and finish my races strong but almost always struggle with the middle section. While this section may vary from miles 40-70, it is a consistent theme that I believe has to do with my nutrition. In the coming months leading up to UTMB I plan to experiment more with real food as well as some nutrition drinks like Tailwind or UCANN. My ulcerative colitis has always made me scared to change things. However, other than my issues in the heat at Javelina Jundred last fall, I have been fortunate not to have other similar GI experiences. I know the poles were a big help during many portions of the race but doubt I would have used them in retrospect. Given the results above, I believe I moved slower using poles on ascents I normally would have run. However the main reason for experimenting with them was for UTMB this summer. Many have suggested these will be greatly needed there and I appreciate that they do take some of the beating off of my legs. The Jewel and its +30,oo0 feet of climbing was an excellent training ground to help me realize I have work to do to get more comfortable and to build my upper body if I am to fully maximize utilizing this equipment at future events. Despite being out there for the second longest time ever, listening to sermons on my podcast throughout the night helped me to remain awake and focused. I realize this wouldn’t work for everyone but consider it a blessing to hear God’s Word preached by Alistair Begg and others as I look to the Lord to be with me as I spend many hours alone in the dark woods. I counted my blessings throughout the race for my loving wife, four amazing children (I thought quite a lot about my daughter who turned 16 while I raced), my family, all my friends, my new job that I had started only two weeks earlier, and much more. I prayed for Derek throughout the race and for all those who can’t run whether it is due to illness, injury, or because they are no longer with us. These races always help me to hit the reset button on my life as I empty my body and mind of everything I have on the course. I use this time to reflect on what Jesus did for me and how I can better serve Him as I take each step on the course and in life. Fortunately I know that I am a work in progress and when I slip and fall (as I did), make a poor decision (as I do), or struggle, in a race or in life, the Lord is always with me. UTMB is less than 13 weeks away and I am excited about my trip to Europe (video below). It is sure to be an interesting experience and one which I look forward to with great anticipation and excitement. Thank you as always for taking the time to read this, and please let me know if you have any questions or suggestions. 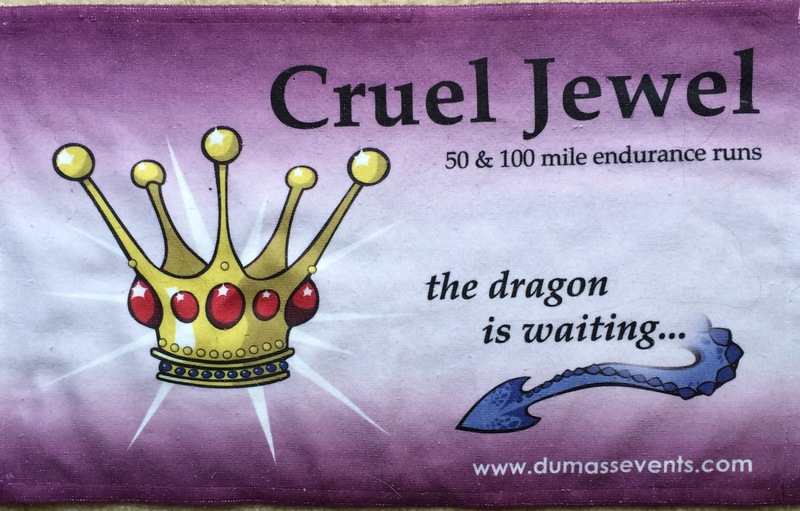 This entry was posted in Challenging, Doing our best, Galatians, Goals, Nutrition, Prayer and tagged Cruel Jewel, Faith, fitness, God, Jesus, lymphoma, running, Ultra, ultra running, Ultramarathon, Ultrarunning, UTMB. Bookmark the permalink. 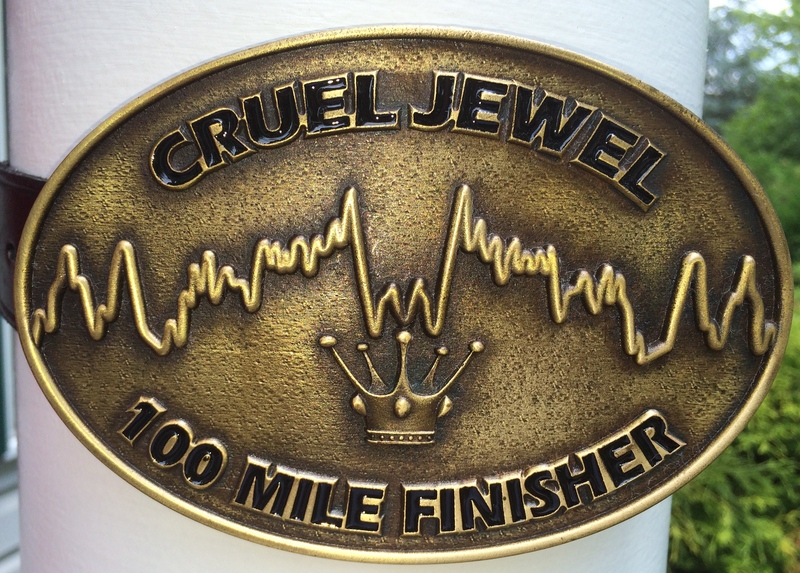 7 Responses to Cruel Jewel Race Report- Back For More! Great story……and especially like your take on the greatest story of all. God bless. Thank you Jim! I appreciate you reading my blog, your kind words, and helping with race. It is a great event and all the volunteers were amazing. Nick – whenever I read your posts, I’m inspired by not only your stamina/endurance in running the physical race, but also your faith race. You’re using what you love to do to glorify God and to impact others in so many ways. Your faithful prayers and time spent with the Lord during these runs, are so very precious. Keep up the good work, strong and faithful servant! Lurleen, I can’t thank you and Chance enough for all your support, encouragement, and friendship. The Lord is good and these runs do help me connect with Him in a special way and learn so much. Nice report Nick! That uncontrolled tumble must have been scary. Thank Jim! It wasn’t until I got up and realized I could run that the fright was over… then I was thankful!